We approach the design process as a collaborative effort while building lasting relationships with our clients based on openness, trust and creative exploration. Your preference guides our designs and material selections. Working with our team, we will arrive at a solution that goes beyond beautiful—incorporating functionality and safety. We're a full-service interior design firm—big or small, remodel or new construction, we can handle it all. We offer a complimentary meet and greet visit at the design studio. If you prefer, a one-hour home consultation at your residence can be scheduled for a nominal fee to share our design process. After an initial meeting a design agreement will be provided and retainer deposit requested before the project is measured and developed. As a team we learn about your needs, wants and desires for your space. During our initial meeting at your home or business, we gather information for our next steps. 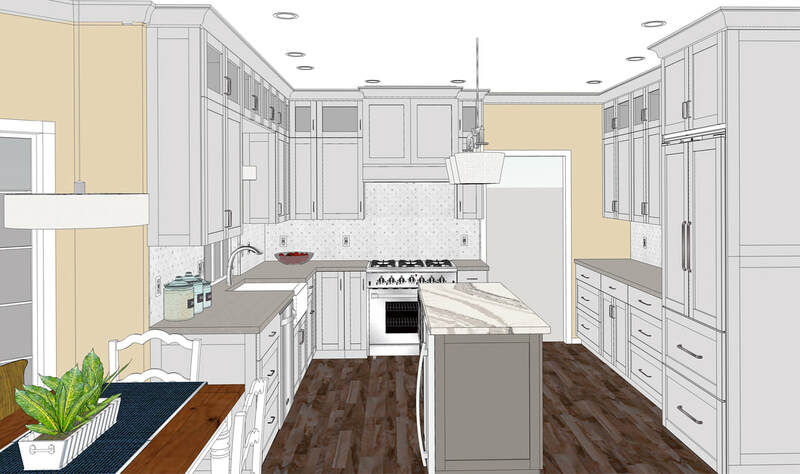 The outcome is a vision, which can include sketches, floor plan renderings and beginning concepts. 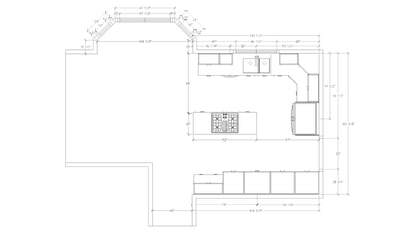 If architectural plans are needed then we will refer you to a professional to partner with us and develop the plan. Design and development is a collaborative process where we access different design options with you. We work closely together to help you discover your personal style through 3D modeling, visual tours, color schemes and product selections based on your budget. The time it takes will vary depending on the complexity of your project. The project scope of work is the technical phase of the design project, where we create the documentation necessary for estimating, material ordering and installation guidelines for the contractor. The final plans are based on your scope of work. 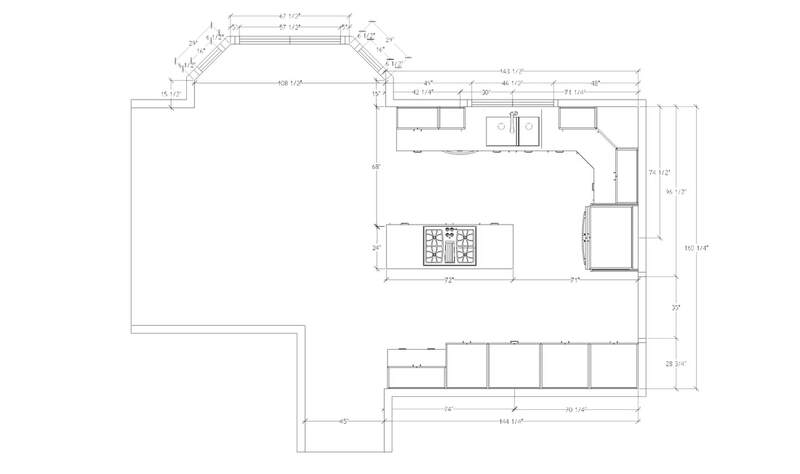 We provide floor plans and 3D visuals. 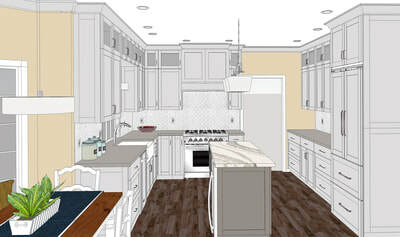 Cabinet or millwork elevations can also be included, if requested. 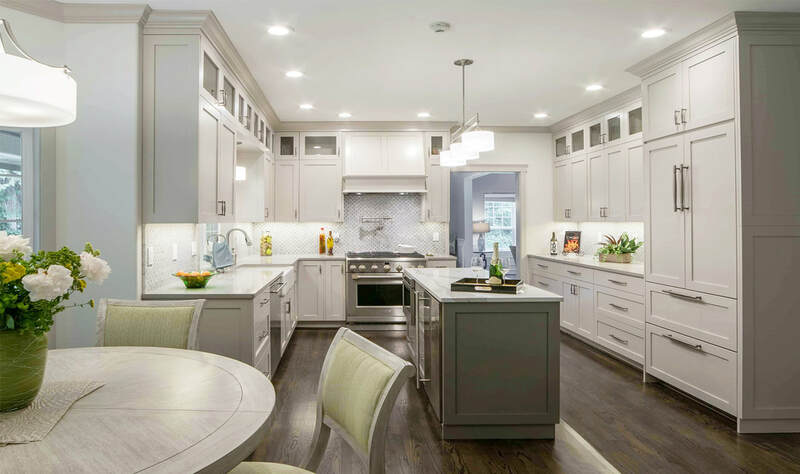 We ensure that your project is completed per our designs while being constructed—through interior design consultations, on-site job reviews and product installation services. Diane worked closely with my wife and me to capture each of our likes and dislikes. She brought us a vision, ideas, plans and possibilities. Diane has a full complement of licensed and bonded professional sub-contractors that we were able to take advantage of too. The finished product exceeded our expectations. Diane has designed our downstairs bathroom, decorated our living room, dining room, and changed the entire interior color scheme of our home.